Local Executive members are responsible for Approving or Rejecting OH&S Forms submitted by a member at large. Under Forms, the List tab will display a list of all the Forms submitted by members of the local. When a member submits a Form, it will be assigned a number and its status will be shown as Submitted. There will be a note to View detail to approve or reject. 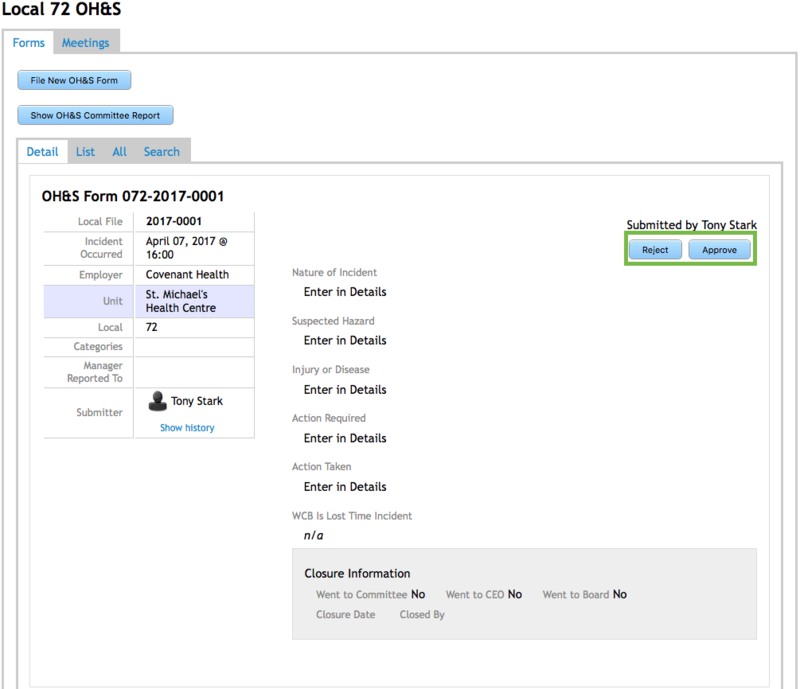 To open the Form, click on the Assigned Number. The Form with the details summarized will open with an Approve or Reject button in top right hand corner. 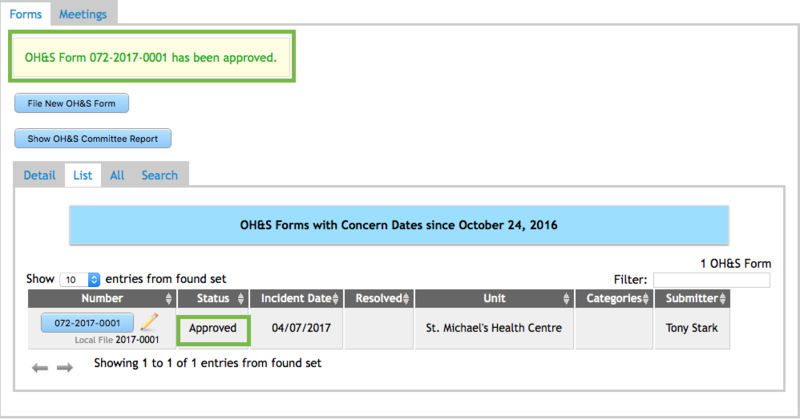 If you click Approve, a screen reading Confirm OH&S Form Approval will appear. 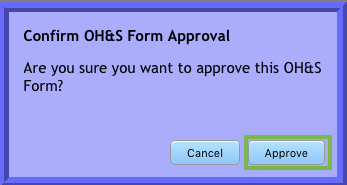 Click on Approve to confirm. The Status of the Form will now show as Approved.